Q1: Have you done or read any calculations on EDM that support those ideas in detail? _demonstrates that an external source of energy arising from massive solar eruptions is likely to have been available on rare occasions in past eras. _electric discharges to the Earth’s surface many orders of magnitude larger than present-day lightning strikes would result from the impact of an extreme Coronal Mass Ejection. _The energy delivered directly to the crustal strata could have been sufficient to contribute to uplift via many of the existing thermal expansion and phase change models. >>>_Rapid ion diffusion in the electric fields associated with the discharges is also likely to have occurred, thereby potentially offering a solution to ‘the granite problem’. _(see ‘An Alternative to Plate and Expansion Tectonics’ for my views on vertical tectonics). _“Paul Anderson uses fractal analysis to determine what process –fluvial or electrical- shaped the various landforms on the Earth, the main focus being canyons and riverbeds. _This analysis is then compared to electrical discharge patterns recorded in laboratory experiments. _Water flow does not appear to form structures with as many branches, particularly perpendicular branches, as do electrical events. _the current from the source must have been higher than it is today in the present auroras. _mountain formation was not only due to electrical uplift but also due to electrical erosion. _In this image of the Tibetan Plateau the rim has been eroded to form snow-capped mountain ranges. <>Are you referring to global dust storms from electrified dust devils? <>Do you see dendritic patterns on Mars from that? _Large areas of the Earth’s strata and surface record what geologists perceive as ‘massive volcanic eruptions’ quite often these prehistoric eruptions dwarf any recorded eruption. _For example, Dinosaur National Monument (Utah, USA) is part of the Morrison Formation which covers some 700,000 square miles. _A staggering quantity of volcanic materials, estimated at more than 4,000 cubic miles, occurs within the thin but widespread Brushy Basin Member in Wyoming, Utah, Colorado, New Mexico, and Arizona. _No volcano is known within the boundary of the Morrison deposit, no local lava flows are known within the Morrison boundary, and geologists place the nearest explosive volcanic source vents in southern California or Nevada. _“The Worzel Deep Sea Ash consists of colourless shards of volcanic glass with an index of refraction of 1.500 and varying in size from 0.07 to 0.2 mm. _There is no particle size sorting. _Most of the shards are in the form of curved, fluted, or crumpled films of glass. _A minority are nearly equidimensional fragments of silky pumice. _No crystalline minerals have been found. _In all important respects it is similar to material which has been classified as volcanic ash in the deep-sea deposits of the world. _On preliminary examination, the ash of the Worzel layer appears to be quite similar to the ash layer which occurs in a suite of cores from the Gulf of Mexico. _In other words a global cataclysm is required to account for the ash. >>>_However, if we look at the chemical composition of the ash (17) we find it shares similar chemical properties with granite (18). _according to Michael Oard it is generally considered to be wind-blown (Aeolian) silt. _It is composed mostly of quartz grains, with minor portions of clay and sand often mixed with the silt. _Loess is commonly intermixed vertically with ‘paleosols’, which are supposedly fossil soils that have been preserved in the geologic record or buried deeply enough that it is no longer subject to soil forming processes. _Scientists previously believed the silt particles in loess were derived from ice abrasion, but they now believe that loess has both a glacial and non-glacial origin. _In central China it is up to 300m thick. _Millions of woolly mammoths and other Ice Age animals are mostly entombed in loess in non-glaciated areas of Siberia, Alaska and the Yukon Territory of Canada. _Wind blown material is common within the Ice Age portion of the Greenland ice cores. 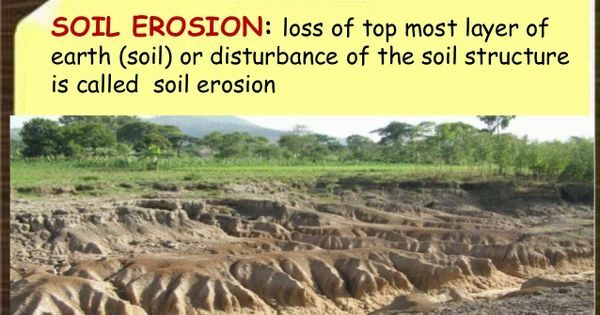 _“Whether it be ‘volcanic ash’, deep sea ash or loess, all this material may be the by-product of the electrical erosion that occurred during the mountain forming period. _this material would have been incorporated into marine strata and interpreted as ‘volcanic’. _During the latter stages when marine transgressions had subsided electrical dust storms would have scattered the material globally- eventually to settle on the ocean floor or entrap ‘Ice Age’ mammals. _Woolfe Creek Crater with its radioactive crater rim is an electrical discharge producing radioactive elements in situ. Granite has a felsic composition and is more common in recent geologic time in contrast to Earth's ultramafic ancient igneous history. Felsic rocks are less dense than mafic and ultramafic rocks, and thus they tend to escape subduction, whereas basaltic or gabbroic rocks tend to sink into the mantle beneath the granitic rocks of the continental cratons. Therefore, granitic rocks form the basement of all land continents. "The debris Venus allegedly deposited in Earth's atmosphere causing 40 years of darkness after the Exodus left no trace in the world's ice caps or ocean bottoms, [See "Ice Cores", Kronos X:1, 1984, 97-102, or Appendix D at end of [abob.libs.uga.edu].] a test ignored by Rose [and an example of negative evidence with which Velikovskians do not have a good track record of dealing. N.B. : The "Worzel Ash" touted by Velikovsky and his epigoni is known to be volcanic (to the exclusion of any other source) from eruptions in Central America, limited in extent (i.e., not global), and far older than 3500 years; see "The Worzel Ash," Kronos X:1, 1984, 92-94 or section "The 'Worzel' Ash" in Mewhinney's "Minds in Ablation". (12-III-99) .]" The extent of the "Worzel Ash" of Worzel (1959) and as discussed by Ewing et al. (1959) and Anders and Limber (1959) is now known to have been vastly overestimated. Detailed research published by Bowels et al. (1973), Drexler et al. (1980), Ledbetter (1984, 1985), and Ledbetter and Sparks (1979), which included trace element analysis and dating by biostratigraphy, oxygen isotope stratigraphy, and radiometric methods not performed by Worzel (1959), show that what he mapped as the "Worzel Ash" actually consists of a number of different beds of volcanic ash that vary greatly in age. They found that the "Worzel Ash" was not a single global ash bed. From the trace and minor element analysis of 128 volcanic ash samples from 56 cores, Bowles et al. (1973) concluded that the unit, which Worzel (1959) mapped as the "Worzel Ash" consists of different ash beds of differing ages including three regionally widespread volcanic ash beds. Ledbetter and Sparks (1979) found what they called the "Worzel D ash" to be the distal counterpart of the rhyolitic Los Chocoyos ash-flow tuff of Guatemala and both were the result of a caldera ("supervolcano") eruption. Drexler et al. (1980) found that the "Worzel D" (Los Chocoyos) ash was created by a massive caldera eruption of the Atitlan caldera, which buried the much of the Guatemalan Highlands and Pacific coastal plain under a thick layer of ignimbrite and spread volcanic ash from Florida to Ecuador. Drexler et al. (1980) contains a map showing the distribution of the Los Chocoyos ("Worzel D" and Y8) ash bed. In this eruption, the Atitlan caldera erupted 270-280 cubic kilometers of volcanic material and created a huge volcanic caldera now filled by Lake Atitlan (Rose et al. 1987). More coring and detailed geochemical analyses by Ledbetter (1985) of ash layers recovered from cores in the Gulf of Mexico and the Pacific Ocean adjacent to Central America defined 11 distinct ash beds within the sediments underlying the Gulf of Mexico and Pacific Ocean surrounding Central America. He was able to delineate the extent of each of the ash layers. The two most widespread ash layers, the Los Chocoyos ("Worzel D") ash bed was estimated to be 84,000 years old and the Worzel L ash bed was estimated to be 230,000 years old. Ledbetter (1984) noted that the Y8 ash bed in Gulf of Mexico is the same as the Los Chocoyos (Worzel D) ash bed. The distributions of the Los Chocoyos (Worzel D) and other regionally extensive volcanic ash beds (tephras) are shown in figure 2 (page 6) of Machida (2002). In this figure, The Wozel D ash is ash deposit no. 26. Anders, E., and N. Limber, 1959, Origin of the Worzel Deep-Sea Ash. Nature. vol. 184, pp. 44-45. Drexler, J.W., W.I. Rose, Jr., R.S.J. Sparks, and M.T. Ledbetter, 1980. The Los Chocoyos Ash, Guatemala: a major stratigraphic marker in middle America andin three ocean basins. Quaternary Research, vol. 13, pp. 327-345. Ewing, M., B.C. Heezen and D,B. Ericson, 1959, Significance of the Worzel Deep Sea Ash. Proceedings of the National Academy of Sciences of the United States of America. vol. 45, No. 3, pp. 355-361. Ledbetter, M.T., 1984. Late Pleistocene tephrochronology in the Gulf of Mexico region. In N. Healy-Williams, ed., pp. 119-148, Principles of Pleistocene Stratigraphy Applied to the Gulf of Mexico. IHRDC Press, Boston. Ledbetter, M.T., 1985, Tephrochronology of marine tephra adjacent to Central America. Geological Society of America Bulletin. vol. 96, no. 1, pp. 77-82. Rose, W.I., C.G. Newhall, T.J. Bornhorst, and S. Self, 1985, Quaternary silicic pyroclastic deposits of Atitlan Caldera, Guatemala. Journal of Volcanology and Geothermal Research. vol. 33, no. 1-3, pp. 57-80. Worzel, J.L., 1959, Extensive deep sea sub-bottom reflections identified as white ash. National Academy of Sciences of the United States of America. vol. 45, no. 3, pp.349-355.